Multi-award winning bar and restaurant in the UK’s Capital of London, Buddha Bar continues to win critical acclaim. From Best Restaurant Bar 2014, 2015 & 2016 at the London Club and Bar Awards, to OpenTable’s Diner’s Choice Winner, Buddha-Bar Restaurant London never fails to impress. Bringing the elements of Buddha-Bar to Knightsbridge introduces the elegance and integrity inspired by Raymond Visan as a dining experience for the busy shoppers and business people of Mayfair, Knightsbridge, Kensington, the City and beyond. 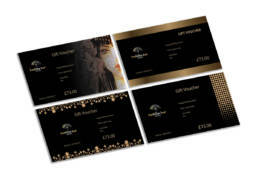 VoucherCart are proud to have been selected to provide the Gift Voucher Platform for Buddha Bar.